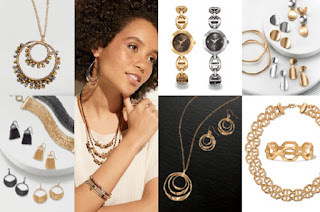 Avon Canpaign 17 2018 features Mixed Metal Jewelry. 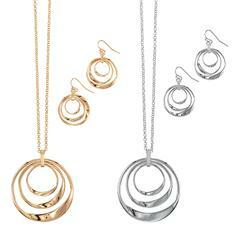 There is something for everyone with silver tone, gold tone, and gunmetal. This jewelry can go from day to night and work with any look. There are several shapes and finishes for you to complete your look. 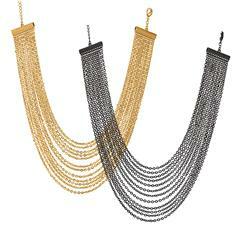 You can choose from chic, chunky, link designs, geometric shapes in matte finish, edgy and cool layered links, or multi-textured stunners. There is a look that appeals to us all. The Mixed Metal Collection is actually five different collections. 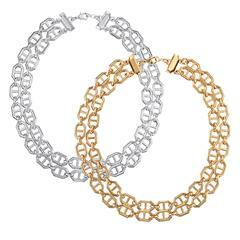 It includes necklaces, earrings, bracelets, and rings. They are so versatile they can go from day to night. Better yet the introductory pricing has savings up to 50%!